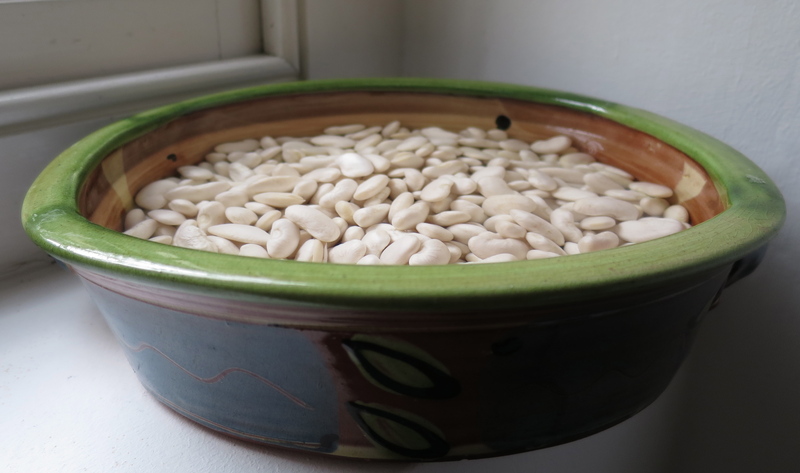 Drain the beans that have been soaking overnight. Put the finely chopped onion into a large pan with half a cup of water and let it cook briskly for a few minutes, until the onion has softened. It doesn’t matter if the water evaporates completely – just make sure it doesn’t burn! 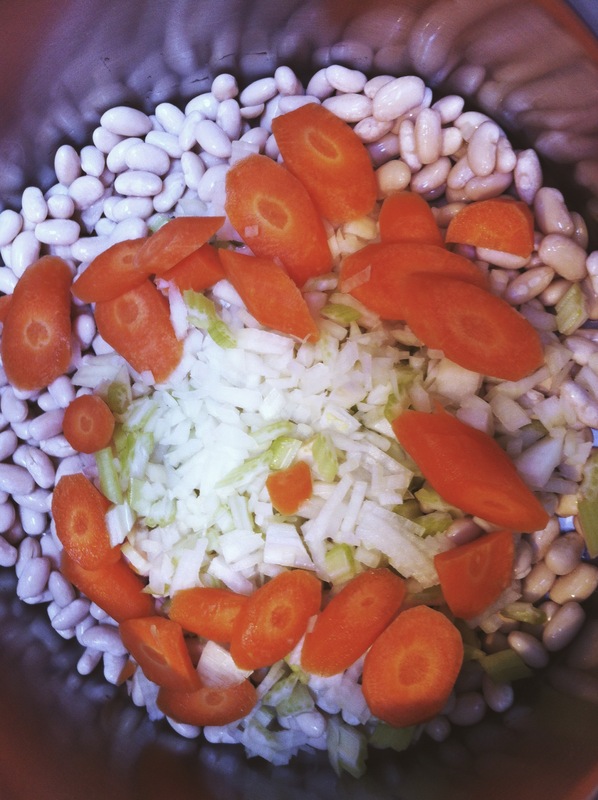 Remove from the heat and add the drained beans, the chopped carrot and celery, the tomato juice and olive oil. Now add about 1 litre of water and return to the heat. 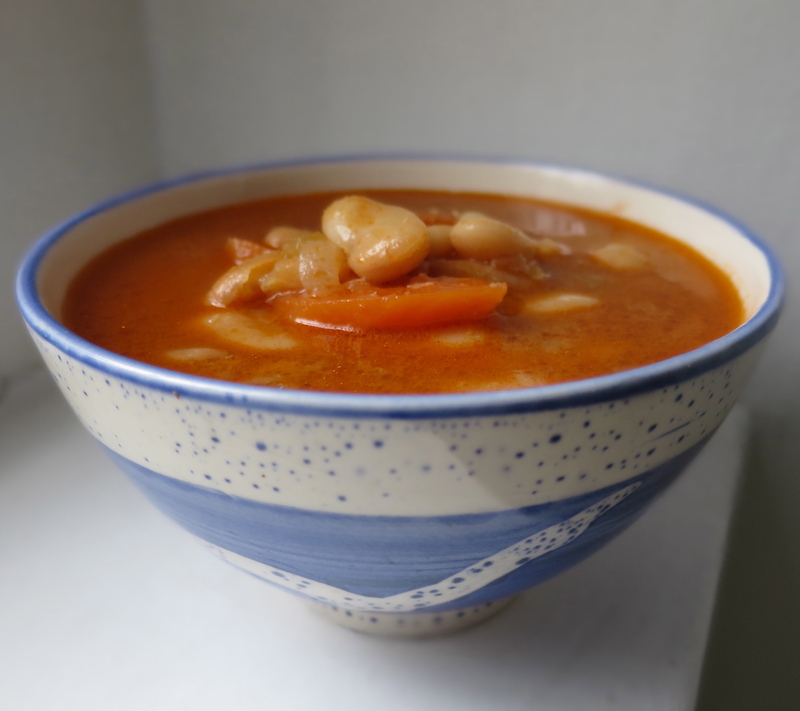 Bring to the boil and then leave to simmer for about 40 minutes or until the beans are tender.You may need to add a little more water – the consistency should be more soup than stew. Skim off any froth that rises to the surface during the cooking. Season with salt and pepper and serve with bread and side dishes of olives, pickled chilies, anchovies or grilled kippers.